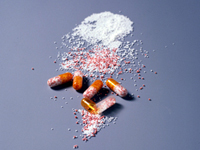 Freund Corportion had conducted many collaborative R&D activities with universities and pharmaceutical companies in pharma equipment and excipients. Some of the actual examples are automatic tablet coater (Hicoater), fluid-bed granulation coater (Flow coater) and excipients (Nonpareil). This is a fully automatic sugar/film coating device with a ground-breaking design that uses a horizontal coating pan that excels at mixing and stirring. 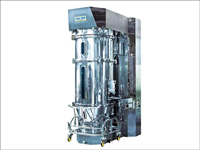 It has a wide range of uses not just for pharmaceutical products but also for sugar/chocolate coating confectionery as well as for agrochemicals and electronic parts. This is the most trusted and best track-record performance fluid bed granulation coating device in Japan. 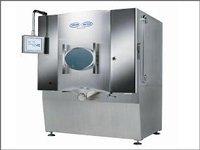 This device permits multiple consecutive processes from uniform mixing to granulation and drying. Solubility and fluidity are particularly good and it is suitable for easily soluble porous granulated substances, granules and pill coating. These are widely used as core particles in pharmaceutical products with the aim of controlled release of drugs with particle size distribution that is highly spherical and sharp spherical granules.